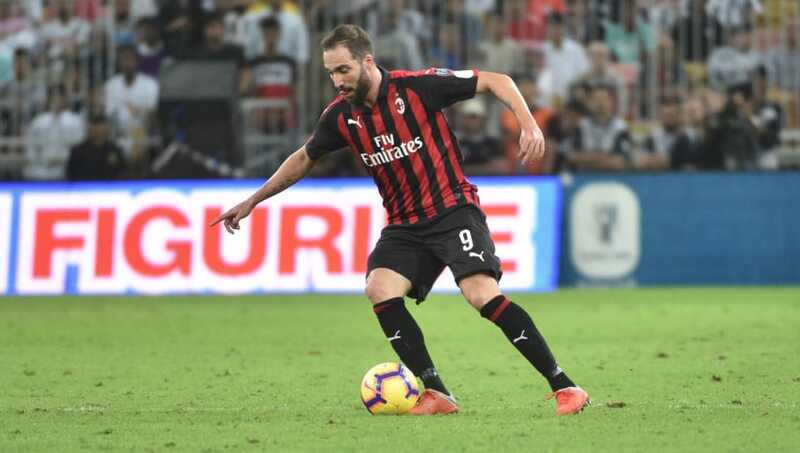 Argentina international striker Gonzalo Higuaín is just "a few hours away" from signing a contract at Stamford Bridge, according to Maurizio Sarri. Chelsea's manager has been on the hunt for a new centre-forward for some time and after being pictured in London early on Wednesday morning, it appears that Sarri has found his man in the form of former Real Madrid striker Higuaín. Sarri, who worked with Higuaín at Napoli, said in his press conference that the Argentine striker was just a matter of hours away from becoming a Chelsea player. The Italian head coach, via Chelsea's official Twitter account, added: "[Higuaín] is a very strong striker, especially in my first season in Naples. He did very well. For sure he is one of the best strikers in my career. He has the right experience to play here." Currently, Higuaín is still contracted to Serie A champions Juventus, although he spent the first half of the season on loan with AC Milan. The 31-year-old has made 22 appearances since joining the Rossoneri in a £16.2m loan deal, scoring eight goals and claiming three assists across all competitions. His tally for the season so far has Higuaín on course to register his lowest goalscoring tally since the 2010/11 season, where he notched 14 times in 25 appearances for Real Madrid. Since moving to Italy in 2013 where Higuaín snubbed Arsenal in favour of Napoli, however, the Argentine has scored a breathtaking 117 goals in just 192 appearances, bettering his 107 goals in 190 appearances from his time in La Liga.